According to many philosophers and many religions, the meaning of life is to love and be loved. But, what exactly is love? It seems that every individual has a different idea of this concept. In most cases, people are talking about love in a romantic sense. In this case, love can be described as a deep romantic feeling, an intense feeling that reflects a deep affection. When it comes to love between two persons, you should be aware that knowing how the other side wants to be loved and delivering that love are two completely different things. 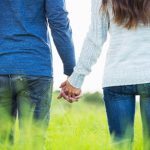 There are many cases in which both marriages and romantic relationship are terminated because one of the partners doesn’t know how to love or meet the requirements and needs of the other partner. There are also cases when one of the partners doesn’t want to meet the requirements or needs of the other. Love is a feeling that we need to cherish and maintain if we want to establish a strong and happy relationship with the person we love. Of course, this love must be returned in the same way. We have already mentioned that love can fade away and cease too. There are many different reasons why things like this are happening, but according to many people, the constant judgment of one of the partners or both partners is one of the main reasons why this is happening. Why should people avoid judging? Let’s be clear, every person lives a life that is full of different judgments. These judgments are related to different things – from the weather and our next door neighbors to the physical appearance of ourselves and the appearance and behavior of our partners. It seems that we make judgments on anything and everything. Some of you may have accepted this fact and they are okay with living a life like this, but the truth is that only when we stop judging we can see the truth beauty of love. At the same time, this means that we can live a complete life free of small and big things that are making us miserable, unhappy and frustrated. Even though this behavior is probably inherited, it is not difficult to identify the root of this “judging problem”. It turns out that there are a few common things that make people judge others and this behavior makes them love less. Let’s take an example – people that are insecure tend to judge more because they feel better when others around them feel worse. In addition, whenever we feel lonely, scared and want a change we tend to judge other more. You might not be aware of this, but the fact is that judging leads to many negative things and when we are surrounded with negativity we can’t expect to give and/or receive love. This is a vicious cycle that must be broken. Judgments can hurt other people. Many people think that if the other person, no matter how close it is to us, doesn’t find out what you said publicly about them, then everything is okay. The best idea is to tell everything you want directly to the person involved. Talking behind the back is bad. Even if judging others makes you feel superior and happier, this feeling lasts for a brief moment. After that, you will feel miserable and uncomfortable. The feeling of guilt is obvious and it will haunt you for a long time. In addition, judgments lead to stereotypes and we all know that stereotypes are ruining love for ages. Many men and women are trying to be something that others want them to be instead of living their own lives in the way they want to. Your judgments should not fuel these stereotypes. We must highlight the fact that judgments also boost negativity in today’s society. Even if you have a seemingly good way to make your judgments look rational and reasonable. They make you love less and make people feel down. Eventually, you will feel sad and miserable too. Now, imagine a situation in which we are accepting others as they are and love them for who they are. This is how the perfect world looks like. Finally, don’t forget that if you are judging other people, then you will definitely start judging yourself too. being harsh to yourself will make you love yourself less and lose confidence. 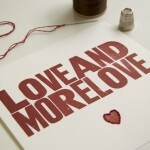 So, how can we love more and judge less? The good news is that it is possible to judge less and it doesn’t take a great effort to achieve a goal like this. This goal is definitely worth the time and effort because it will make you love more and be loved more. 1. Start analyzing and observing your own thoughts. It is not hard to think about the things that you are thinking about most of the day. It is very likely that you are spending a lot of time thinking about other people, judging their behavior and their appearance while being completely unaware of this practice. Focus on your thoughts and try to redirect them to the world of positive things. Every person has a good side, so you should start thinking about these sides of people, not their negative sides. 2. Identify these positive things. Every judgment is negative by default. On the other hand, there are positive things in other people and things that are not difficult to spot. Your mind might be focused on the negativities, but once you force your thoughts to be more positive you will know what to say or think. If you are not sure what to say or for some reason, you can’t find the positive aspect of some individual or thing, remember that it is sometimes better to remain silent. Just like judgments, stereotyping is not a good idea and there is no exception to this rule. Do your best to avoid stereotypes even though it can be difficult in some cases. These stereotypes are sometimes inherited or come as a result of the influence of our society, but this doesn’t mean that you cannot avoid them. They are leading to many conflicts around the globe and you certainly don’t want to support these conflicts. The best idea is to identify them and start building a strategy to avoid them. Once you are free of prejudices and stereotypes, you will see the world in another way and love everyone more. 4. Stop judging yourself (your actions, your behavior, your appearance etc. You will be able to judge others less and eventually turn this bad activity into something productive – spreading the love more. People who judge themselves more frequently are judging others more too. Just like in the case of other people and things, you can find more than one good thing about yourself and focus on these positive aspects of your personality. Once you do this, it would be much simpler to identify and put your focus on the positive sides of other people. Life is short and people don’t have to spend their time on making judgments. 5. Put your focus on your life in general. Stop thinking about the clothes other people are wearing, their haircut, their appearance in general and their actions – simply think about your life. Set a few goals and find a way to achieve these goals. As a matter of fact, some experts say that there are three basic caused that lead to the excessive judging of others and they are all related to us as individuals. Firstly, you judge others because you are not like them. For example, if you are a shy person, you are probably judging individuals that can handle social situations easily. Another example is a situation where you are actually acting in the same way as others, but you are not fully aware of it. This calls for thorough self-observation. There are also guys that are quite envious and this is what makes them judge others. By working more on yourself you will forget about these things. 6. Don’t forget the feeling you have when you realize that you are judged. 7. Don’t do something that you don’t want others to do to you. We all need to understand that people have different opinions and that’s what makes our world a great place. We also think differently and feel differently. However, if you want to love more and live a happier life, you must accept others as they are and stop judging them no matter how different they are. Lucy Benton is a writing coach, an editor who finds her passion in expressing own thoughts as a blogger, and currently works at www.assignmenthelper.com.au. She is constantly looking for the ways to improve her skills and expertise. If you’re interested in working with Lucy, you can find her on FaceBook and Twitter.